This year’s Carhart Lecture at Dakota Wesleyan University will discuss the extent of and possible solutions to climate change. 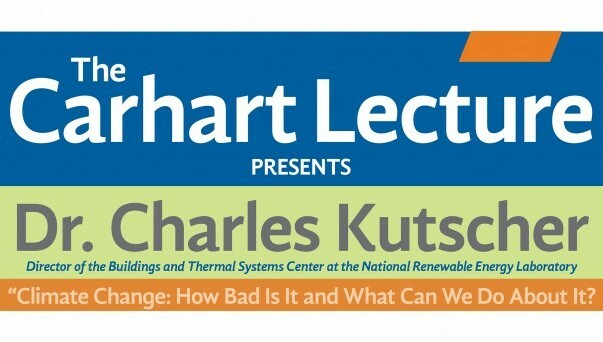 Dr. Charles “Chuck” Kutscher, of the National Renewable Energy Laboratory in Golden, Colo., will give the lecture, “Climate Change: How Bad Is It and What Can We Do About It?” on Tuesday, Feb. 20, at 11 a.m. in Java City and again at 7 p.m. in the Sherman Center. These lectures are free and open to the public. Full press release is here.